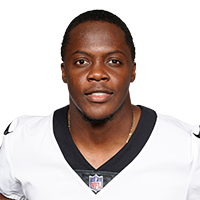 Saints head coach Sean Payton said Thursday that Bridgewater is locked in as the team's top backup quarterback and would be first in line to start if Drew Brees were unavailable at any point this season, Luke Johnson of The New Orleans Times-Picayune reports. The Jets agreed Wednesday to trade Bridgewater and a future sixth-round draft pick to the Saints in exchange for a future third-round pick, Adam Schefter of ESPN reports. The quarterback competition between Bridgewater and rookie Sam Darnold may still be ongoing, as SNY NFL Insider Ralph Vacchiano reports that coach Todd Bowles won't name a starting quarterback until at least "sometime next week". Bridgewater completed 11 of 15 passes for 104 yards with no touchdowns or interceptions in the Jets' 22-16 preseason loss to the Giants on Friday. Bridgewater completed 10 of 15 passes for 127 yards, a touchdown and an interception in Thursday's 15-13 preseason loss to Washington. He also rushed once for four yards in the contest. Analysis: Bridgewater played the entire second half after rookie Sam Darnold got all three of New York's first-half possessions. The highlight of Bridgewater's night was a 16-yard touchdown pass to Charone Peake. Josh McCown didn't get any reps at all in this one, so it's difficult to judge the status of New York's three-man quarterback competition at this point. Bridgewater can't be ruled out as a potential Week 1 starter, though. Bridgewater made his Jets debut in Friday's preseason opener. He completed seven of eight passes for 85 yards and a touchdown while adding a three-yard run in a 17-0 win over the Falcons. Analysis: Bridgewater entered on New York's second possession after Josh McCown got the start. He threw a 16-yard touchdown to Isaiah Crowell on his lone drive with the starting offensive linemen, then produced a field goal on the next possession before exiting in favor of Sam Darnold. McCown remains the slight favorite in New York's three-man quarterback race, but the finally healthy Bridgewater looks poised to give McCown a serious run for his money judging by this impressive performance. Bridgewater (knee) will open training camp behind just Josh McCown (hand) on the depth chart, Eric Allen of the Jets' official site reports. Bridgewater (knee) has been a standout performer during the first week of OTAs, ESPN's Rich Cimini reports. Analysis: The most important takeaway here is that the left knee Bridgewater had surgically repaired back in September of 2016 is no longer bothering him. New York is still hoping that third overall pick Sam Darnold will show enough readiness for the NFL to start right away, but Bridgewater could certainly beat out 38-year-old incumbent Josh McCown if Darnold needs more seasoning. Don't expect this quarterback battle to be settled until preseason at the earliest. Bridgewater (knee) participated in team drills during OTAs on Tuesday, Connor Hughes of NJ.com reports. General manager Mike Maccagnan said Bridgewater (knee) is healthy and was able to throw passes Tuesday at the start of Phase 2 of the Jets' offseason program, Rich Cimini of ESPN reports. General manager Mike Maccagnan confirmed Monday that Bridgewater (knee) may not be a participant in the offseason program, Manish Mehta of the New York Daily News reports. "That injury may take some time to fully recover from," Maccagnan said. "If all things go well, you guys will have a chance to see him out there to throw this spring." Bridgewater wouldn't commit to taking part in the Jets' offseason program, Jeremy Bergman of NFL.com reports. "That's not something I'm comfortable talking about right now," Bridgewater said in a conference call Wednesday. "I'm pretty sure that will be a discussion I have with the training staff and we'll come up with a plan moving forward." Bridgewater's one-year contract with the Jets includes only $500,000 guaranteed, Dan Graziano of ESPN.com reports. Bridgewater signed his one-year contract with the Jets on Sunday, Brian Costello of The New York Post reports. Bridgewater's deal with the Jets carries a maximum value of $15 million, Adam Schefter of ESPN reports. Analysis: In addition to adding Bridgewater, the Jets re-signed McCown, their 2017 starter, and it's expected that McCown will approach training camp atop the team's QB depth chart. That said, the terms of Bridgewater's deal suggest the situation to be competitive, assuming the health of both QBs. With both Bridgewater and McCown only under contract for one year, it's still plausible the Jets add a signal caller in the upcoming NFL Draft, possibly with the No. 6 pick overall. Bridgewater plans to sign a one-year deal with the Jets, Adam Schefter of ESPN.com reports. Analysis: It's been a busy day in the Jets' quarterback room, as the team re-signed veteran Josh McCown and have now secured Bridgewater. The 2014 first-rounder hasn't started a game since 2015 due to a devastating knee injury that sidelined him for the majority of the past two seasons, but Bridgewater likely will be in the midst of the quarterback competition this offseason. The Jets are reportedly working on a deal for Bridgewater, Ian Rapoport of NFL Network reports. Bridgewater will become an unrestricted free agent March 14 after the NFL Management Council decided not to toll the quarterback's 2017 contract into the new league year, league sources informed Ben Goessling of the Minneapolis Star Tribune. There's a possibility Bridgewater's contract is tolled for the 2018 season, Courtney Cronin of ESPN reports. Bridgewater made one appearance for the Vikings in 2017, attempting two passes that resulted in one incompletion and one interception. Bridgewater (coach's decision) is inactive for Sunday's NFC championship game in Philadelphia. Analysis: Head coach Mike Zimmer has chosen Sam Bradford as the backup QB for the second consecutive contest, relegating Bridgewater to street clothes yet again. Bridgewater is inactive for Sunday's playoff game against the Saints. Analysis: While Bridgewater was made inactive, fellow QB Sam Bradford is in uniform for the Vikings and will serve as Case Keenum's backup Sunday. Bridgewater is expected to serve as the Vikings' No. 3 quarterback during the postseason after the team activated Sam Bradford (knee) from injured reserve Saturday, Chris Mortensen of ESPN reports. Bridgewater had an incompletion and an interception on two pass attempts in Sunday's 34-7 win over the Bengals. Bridgewater will again serve as Case Keenum's backup Sunday against the Rams, Craig Peters of the Vikings' official site reports. Bridgewater (knee) is listed as active Sunday at Washington, Chris Tomasson of the St. Paul Pioneer Press reports. Analysis: Making his long-awaited return from a devastating knee injury, Bridgewater will take on a backup role to Case Keenum while he prepares for his first action since the Vikings' wild-card loss to the Seahawks in January of 2016. Keenum has a firm hold on the starting gig at the moment, but head coach Mike Zimmer will likely want to see how Bridgewater reacts to live snaps at some point this season. The Vikings activated Bridgewater (knee) from the Physically Unable to Perform list Wednesday. Bridgewater (knee) will be activated from the Physically Unable to Perform list Wednesday, but won't start the Vikings' Week 10 game against the Rams, Chris Mortensen of ESPN reports. Sources close to the Vikings indicate that the team intends to activate Bridgewater from the Physically Unable to Perform list ahead of their Week 10 game against the Redskins, Jason La Canfora of CBS Sports reports. Vikings head coach Mike Zimmer said Tuesday that Bridgewater (knee) isn't necessarily guaranteed to start for the team once the quarterback is activated from the Physically Unable to Perform list, Jeremy Bregman of NFL.com reports. "I haven't decided that yet," Zimmer said, regarding who would start at quarterback for the VIkings when Bridgewater returns. "We'll continue to take it one day at a time. Just see where [Bridgewater] is at, where the team is at, how Case [Keenum] is doing. The whole deal."